With the first announced from Airbus for its plans to develop a self-flying taxi, it sounded like a fever dream of a sci-fi fan more than a real projection of what the future will bring. 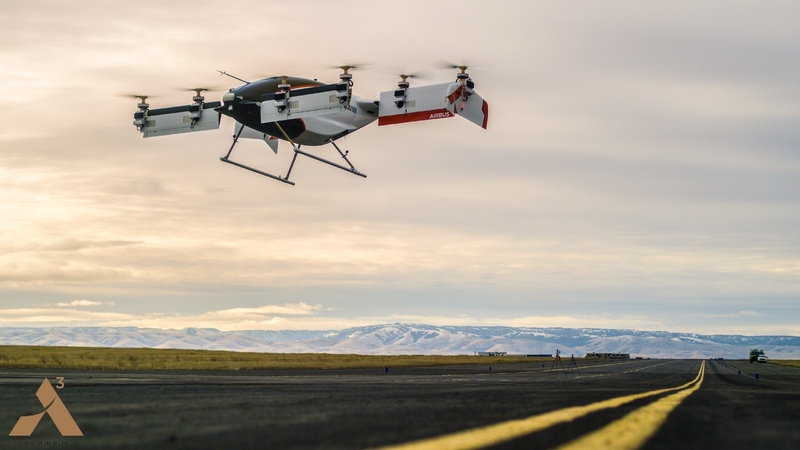 But now, the aerospace giant has proven that it wasn't joking: Airbus' Vahana team have successfully flown their autonomous air taxi known as "Alpha One" for the first time. Although it only reached an altitude of 16 feet and remained in the air for only 53 seconds before descending, it did so while fully self-piloted. The Vahana team conducted another test flight the day after, and by the reports we got, that one also went well. With "democratize personal flight" in their mind, Airbus created the project by implementing all the latest technologies, including machine vision and electric propulsion. Based on that idea, the Vahana team managed to create Alpha One as a single-passenger electric vertical-take-off-and-landing (VTOL) self-piloted vehicle. The company's main goal is to build an autonomous passenger drone transportation service, that would be similar to the ride-hailing fleet of self-driving cars which Waymo is preparing to launch this year, but way more ambitious and futuristic. But before this is even possible, though, Airbus will have to develop its technology much further and to perform loads more flight tests until it can transition to forward flight.